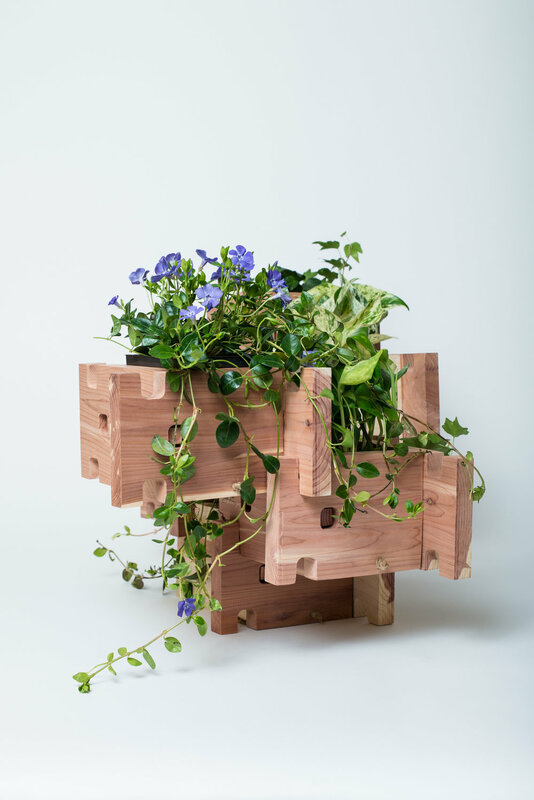 I love plants and I wanted to create a planter that was modular, biodegradable, and stackable. I wanted to turn the idea of a vertical garden on its head. I was greatly inspired by simple geometry, modular forms, and an organic aesthetic. In order for the boxes to be biodegradable and modular, I needed to make sure that they would be cut to fit perfectly, be made out of materials that would naturally biodegrade, and be mold-resistant. After a lot of research on what would satisfy these requirements, I knew that the final materials should be aromatic cedar and twine. To get the design just right, I needed to do a lot of experimenting with the actual sizes of the panels. 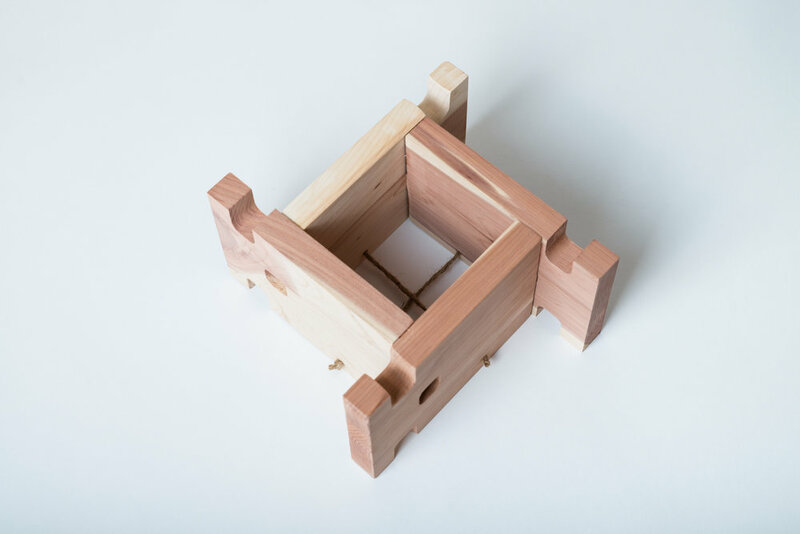 Each box is made from one shape that fits together to form a box. The materials and shape experimentation were a big part of this process. It was important to test out the designs using cardboard and very thin pieces of wood to understand the improvements that were necessary to make these boxes on the proper scale. I was able to use the laser cutter to cut out these prototypes. Below you can see the evolution of the prototypes. After many iterations with the thin wood and cardboard, I had a much better idea of what I needed for the final designs on the CNC router. I chose aromatic cedar because it's naturally rot resistant and just so happens to smell amazing while cutting it. I drilled holes into the bottom and added twine to hold up the small pot inside (this also has the added benefit of showing which side of the box is the bottom). Below are the final designs. All photography below by Julie Jamora.